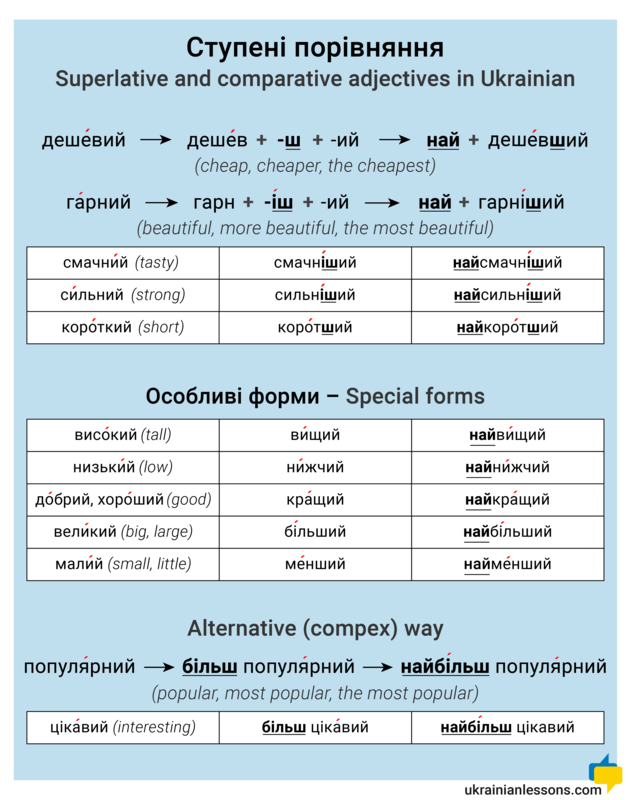 If you have already learned the most common Ukrainian adjectives, let’s move on and find out how to compare them! 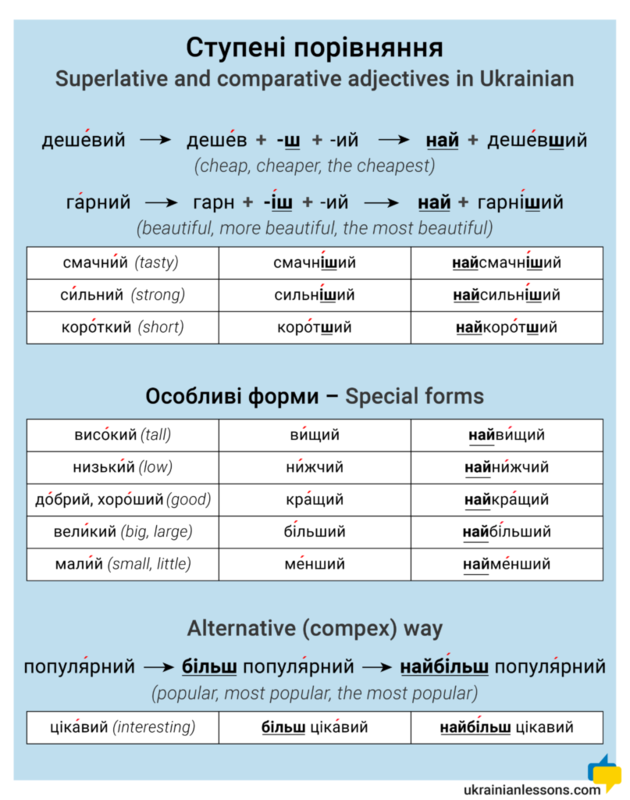 There are three degrees of comparisons in Ukrainian, as in English language. And remember: Ви найкращі учні! – You are the best students! Check our series of Ukrainian Lessons Podcast and start with our list of 14 most common expressions right now.